Y’all know my love for all things monogrammed. 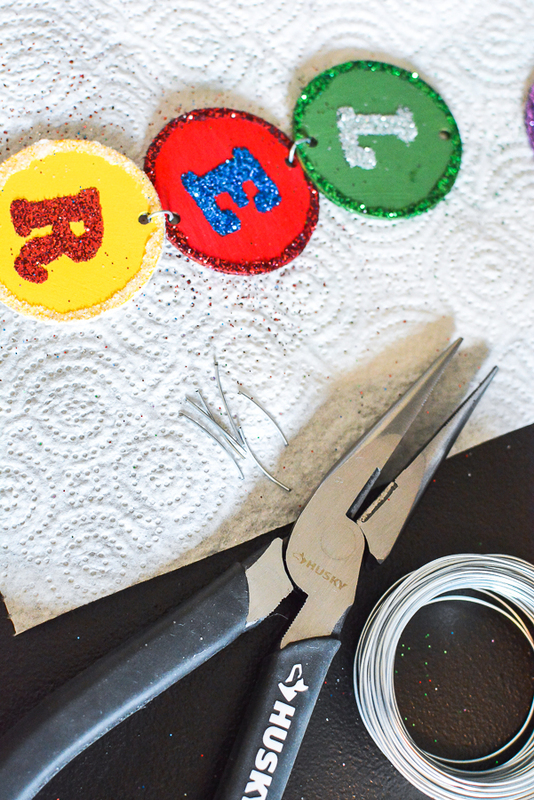 I’m breaking away from the monogram today and going for a whole name Christmas ornament DIY you are going to love. 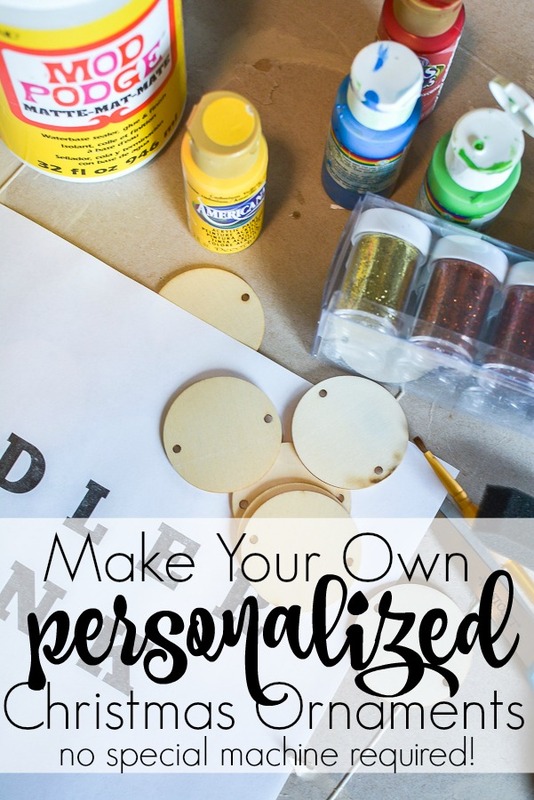 Personalized is always better. 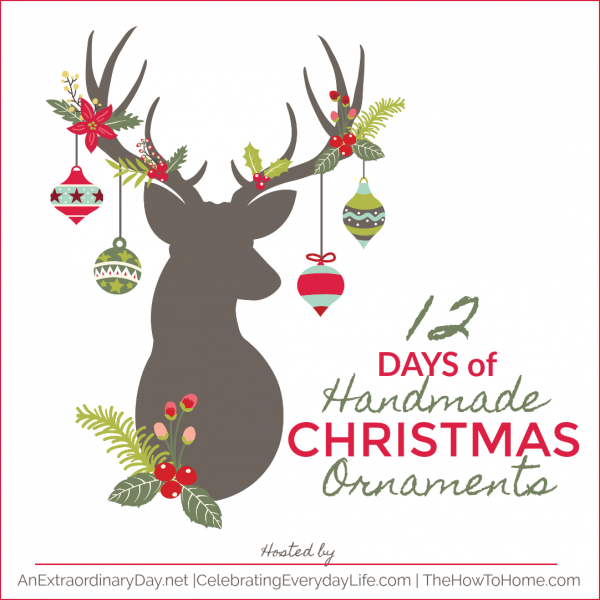 You are also going to love that this little ornament idea because it’s part of a 12 Days of HANDMADE Christmas Ornaments blog hop – you are going to get some tremendous ideas friend! There are some super amazing ideas like Shrinky Dink Vintage Postcard Ornaments and gorgeous tassels out of unexpected materials! Years and years ago my mom and I started collected glass Christmas ornaments, predominately Old World Christmas Ornaments. We had a little Christmas shop we loved to go to and would make a habit of visiting every month to pick out a new ornament to build up our collection. We would usually pick something to do with whatever was going on at the time and things we love. Things like a millennial 2000 champagne bottle or a Cinderella box set. 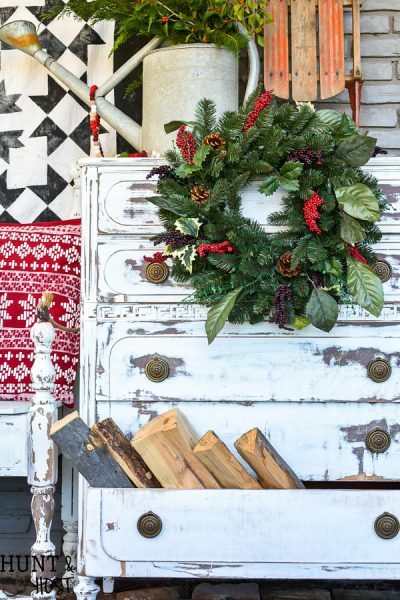 The ornaments are rather expensive but going together and gathering them little by little made it affordable and memorable. While we don’t still go all the time, I’m happy to say we still collect ornaments as milestone markers and memory souvenirs. When my daughter was born I found some sparkly glass letters that hooked together to spell whatever you wanted. I picked her name as a special ornament and a bright shiny M-A-E hangs from the tree each year. Once the boys came along I could no longer find the same set of letters to get them their name! Of course I got them other ornaments but to this day, they don’t have their name on our tree! I decided it was time to right that wrong. I can’t blow a glass ornament, so I am going to show you how I made my own shiny look-a-likes – without having to use a Cricut or Silhouette machine! Getting glittery was super fun. I ordered these wooden disks from my online shop ( see the supply list above). They are the perfect size for ornaments like this or even gift tags if you like that idea better! 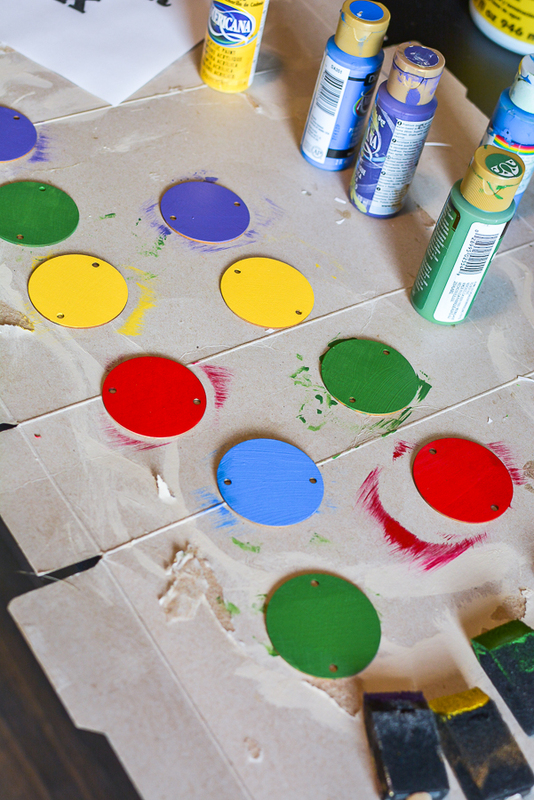 Paint them (front and back) with acrylic craft paint to match your color scheme. I used a variety of bright colors that goes with the traditional glass ornaments we collect. Next I went online and printed out the boys names in a nice thick, chunky font that would be easy to trace and paint. I used Picmonkey and here are the steps to get the right size and use the same font I did! Next you will want to use trace paper and trace each letter onto a different wooden disk. Using a small brush paint your letter with Mod Podge. 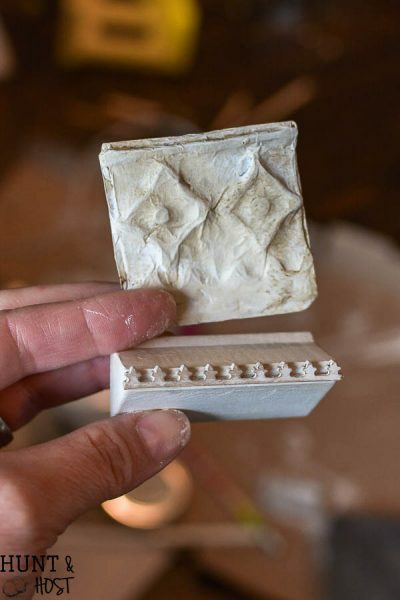 While the Mod Podge is still wet, sprinkle with a contrasting super fine glitter. 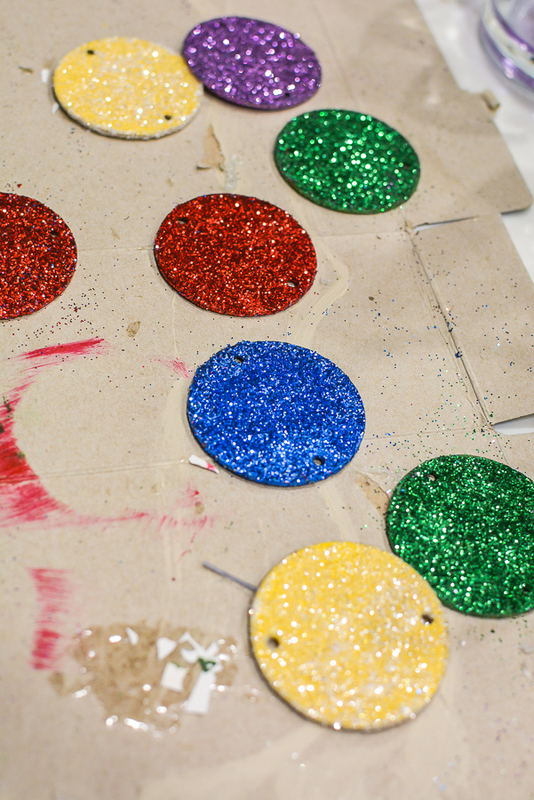 Paint a small width of glue around the edge of each disk and sprinkle with glitter. Once the letter side is dry flip each disk and cover the back with Mod Podge and sprinkle with glitter. I made the color combos and pattern random for fun. Connect your lettered disks with wire. You could also use twine, pipe cleaner or string! 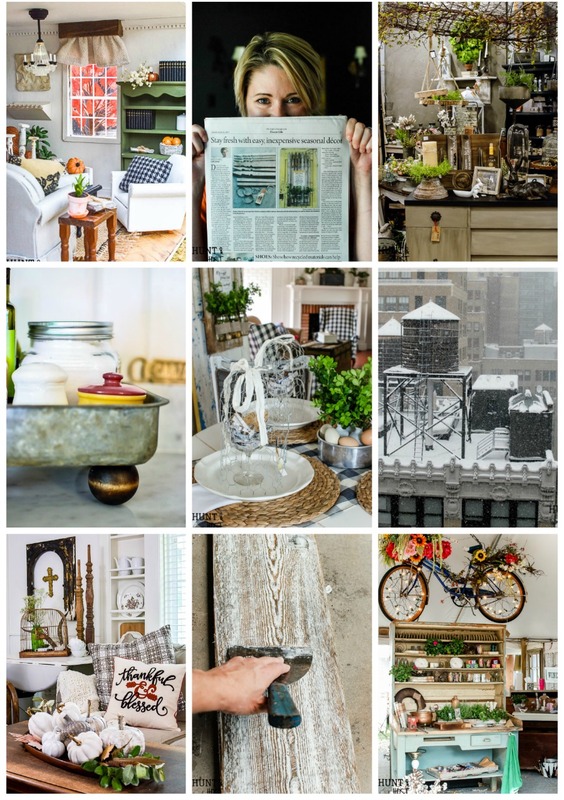 Whatever goes best with your decor. 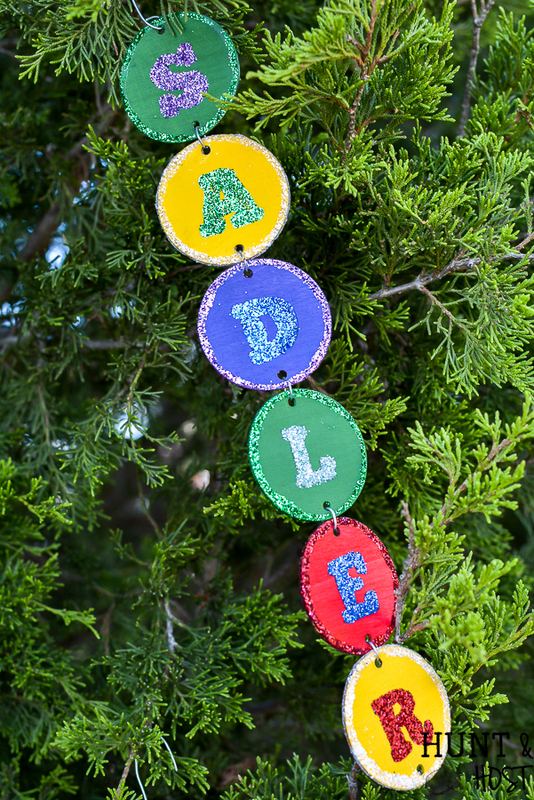 Add a ornament hook to the top of the name and hang from your tree. Of course you could also use this idea to add words like joy, Jesus, peace, etc. to your tree! Take a minute to check out the other handmade ornaments from my friends and save this post for reference! thank you for having me on the hop and I agree, our name is so special to see somewhere! You are so clever, Kim! I love the personalization and the glitter. 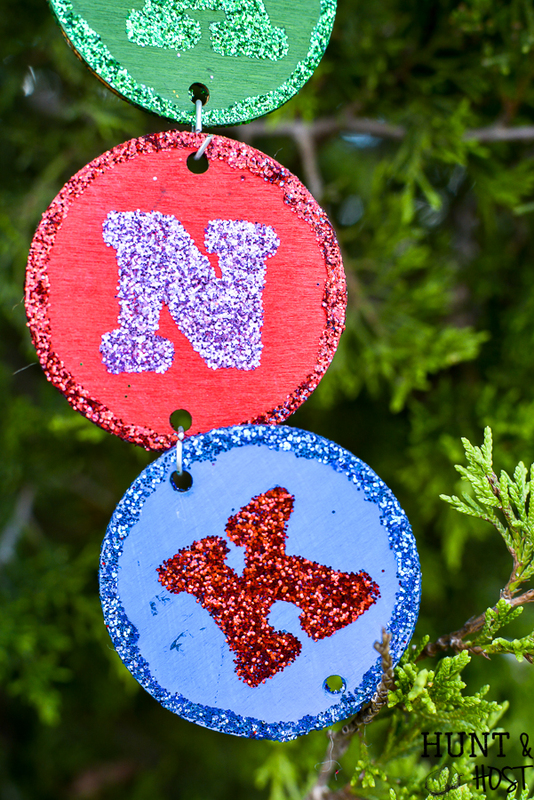 I love this idea and know that your boys will be happy to hang their new ornaments on the tree this year. they are excited to have it finally! This idea, It’s always lovely to have our family names in our Christmas tree. 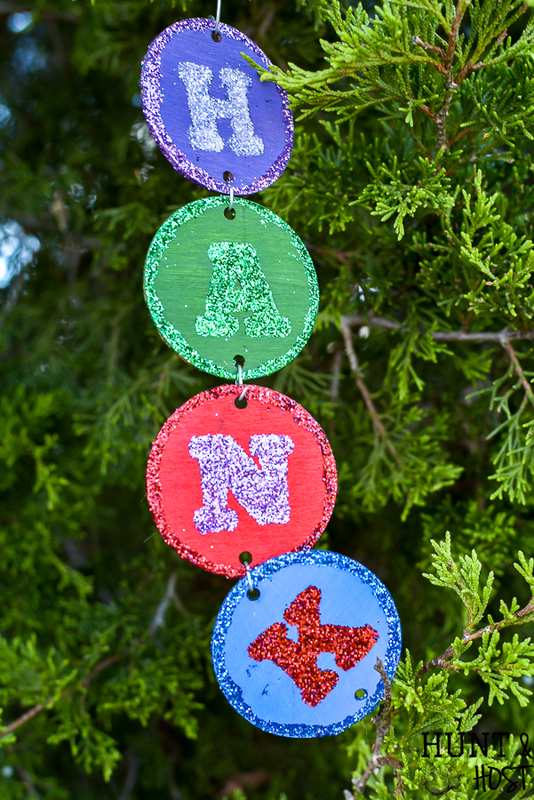 Using Pick Monkey for the letter is clever and adding glitter is the perfect touch! thank you Camila! I don’t do tons of glitter, but it was so fun I just might start! So cute! Personalized ornaments are most definitely the best kind! 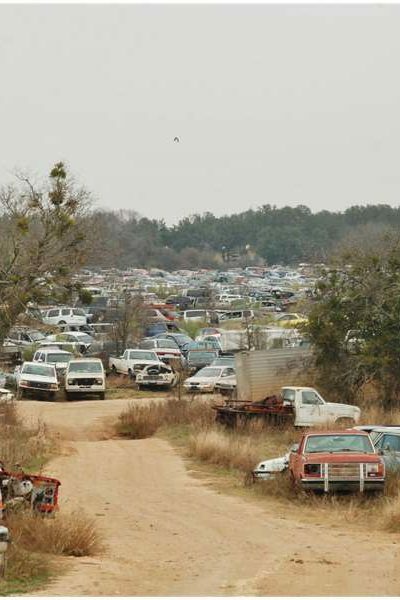 We’re southern. Monogramming stuff is in our blood! Such a sweet craft for your kids. These are just the sweetest ornaments! And what wonderful keepsakes, too. Love them. 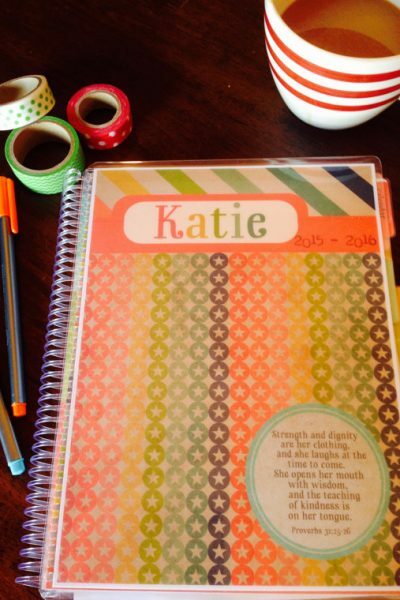 So fun — and colorful!